When most guests think of Disney's Magic Kingdom, they typically think of two things: Cinderella's Castle and Fireworks. 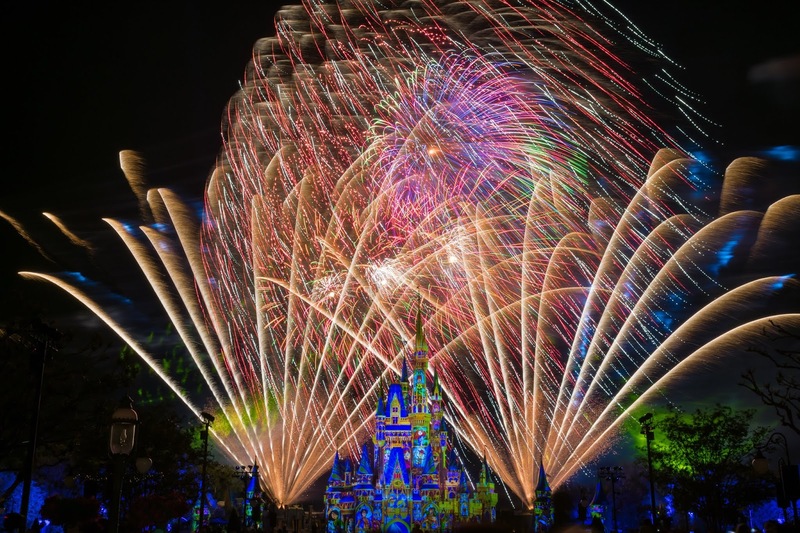 Of course, a few other things may also come to mind like the incredible attractions, excellent dining, and world class entertainment, but more than anything, when you ask a guest what their favorite part of their Disney vacation was, it doesn't take them long to mention fireworks. There is very little more iconic than fireworks on Main Street U.S.A., but at the same time, it may not always be your best option. 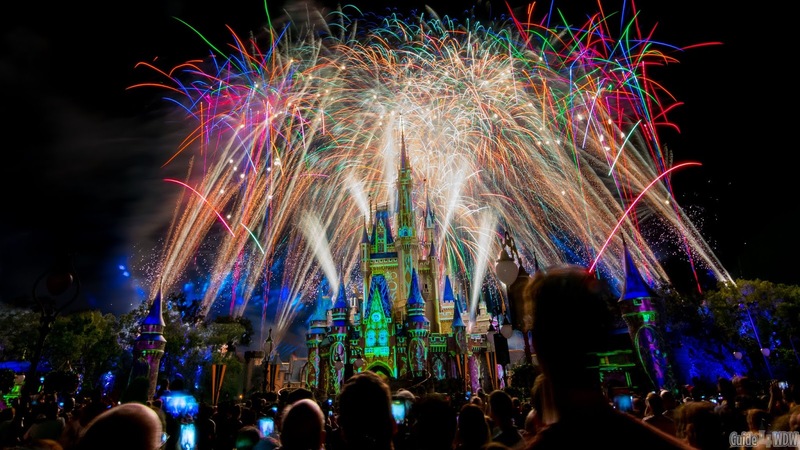 Additionally, there's a few things you should know about the fireworks procedures and typical processes before, during, and after the show that many guests may not anticipate on a first visit or perhaps entirely overlooked on previous visits. So, without further ado, that's what we'll talk about today! 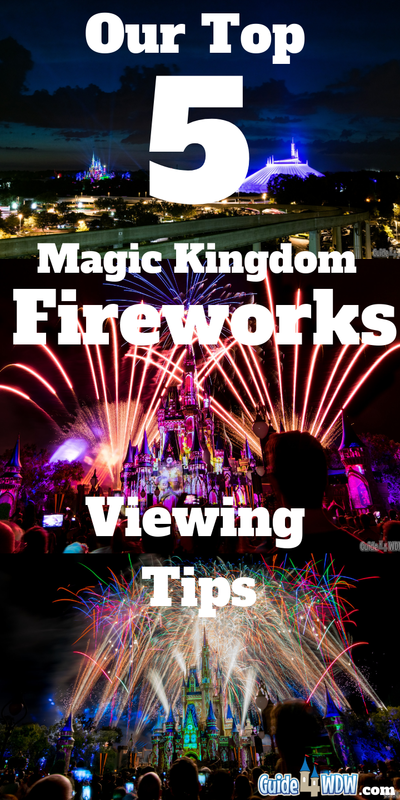 When the Magic Kingdom's Happily Ever After fireworks show first debuted back in May of 2017, it really changed the fireworks scene and "plan of attack" to secure an excellent viewing location for the show. The show itself centers heavily around projections coupled with the main fireworks bursts high over head. Honestly, the greatest tip I can give a first time guest, which won't even make our list, is that you want to be able to see the castle for the best possible viewing experience. While that's not necessarily one of my "go-to" tips on its own, it does lead quite well into number one on our list. This tip is incredibly simple, but often highly overlooked. First time guests and often returning guests overlook the fact that trees along the edges of the hub area can vastly impede your view of the show. For the previous "Wishes" fireworks show there was so little happening on the Castle itself that you could really get away with a partially obstructed view. Happily Ever After is a whole different story. If you're staking out a spot, your best option is on the back side of the partners statue facing the castle. the problem with this location is that it gets incredibly crowded, incredibly early on. Additionally, if you aren't willing to hold your own you'll slowly end up moving further and further towards the castle stage which will actually provide a worse viewing opportunity. If you can't claim that desired partners statue spot, consider moving back to the area between the two grassy sections of the hub. It's not quite as good of a view but the spot fills in much closer to show time and you wont feel quite as overwhelmed if you don't care for large crowds. Something to note here is that you can only stand in designated areas when waiting for the show. The closer you get to the castle, the more prevalent those viewing areas become. The key to it is to stay within the white taped-off lines on the ground. If you're out of those designated areas, you will be asked to move eventually in order to accommodate guests trying to move from one area of the park to the next via designated walkways. It's a pretty simple process, but so many guests get moved from their spots simply because they didn't know about the guidelines. This is going to sound contradictory to what I mentioned in tip number one, but in the grand scheme of things, the show is great even without the projections. I do share this tip with a bit of hesitancy though. Many of you reading this have seen Happily Ever After many times, and have had the blessing of being able to do so time and time again like me. If you know the show, this is where this tip really comes into play. If you're a first time guest, you have to see Happily Ever After from the hub at least one time. It's the perfect environment for the show and the perfect multi-sensory experience that you can't get anywhere else. From the crowds cheering, to the amazed people all around you, to the incredibly detailed projections on the castle, there really is no substitute to seeing it at least once up close and personal. At the same time, it's not always a bad thing to experience a change of pace and to view the show in an entirely new way and often times with little to no crowds. 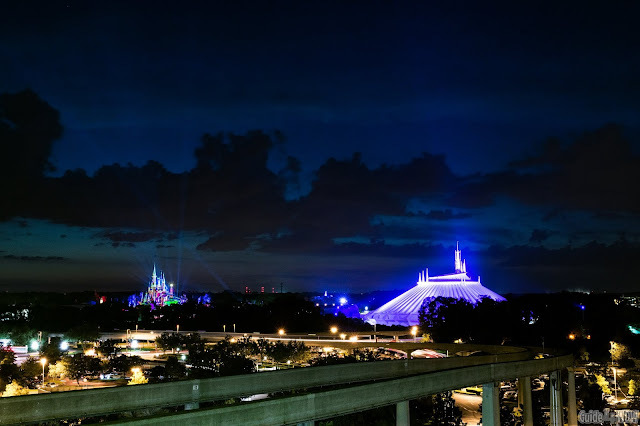 Head to the external staircase of the Contemporary, or the beaches of the Polynesian, or even quite possibly the Grand Floridian to see the show from an entire new perspective. They're not "better spots" or "worse spots," but simply a different feel to the whole atmosphere. It's a more laid back vibe and one that is far less densely populated with people. 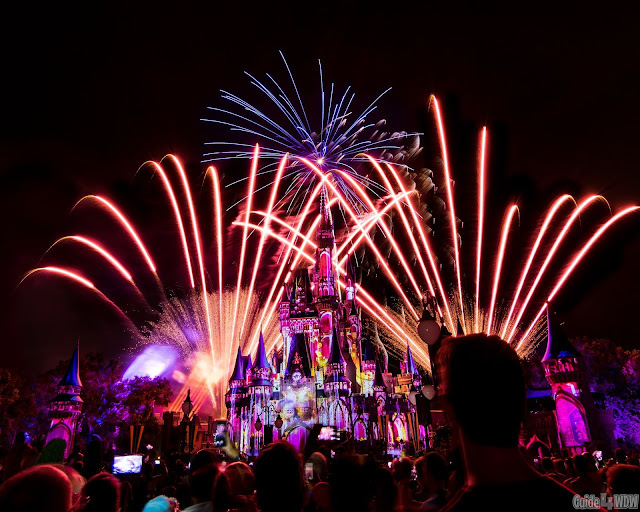 Chances are, a few of you may disagree with me on this one, but I don't see the benefits of the fireworks dessert parties as "worth it" at their current price point. I'm typically the first person to recommend food, but the value for your dollar and the time required to partake in the event simply isn't worth the cost of the experience. At $84 per adult, you're talking $336 for a family of four (if all guests are over the age of 9). Additionally, it's recommended you arrive at the party an hour in advance. In my opinion, if I'm going to spend an hour waiting around on the fireworks, I see it as better off to head up to the Main Street Bakery (Starbucks), the Confectionary, or any other food location to grab a snack and then stake out a spot near the partners statue for a better view and likely a better snack. I may be the exception rather than the rule, but it is simply a cost I can't rationalize. One of the most memorable viewings of Happily Ever After I can remember was from one particular night on Main Street U.S.A. I don't know why but there's always been something special about that location. With the new show, the crowds have largely shifted closer to the castle, but in all honesty, Main Street is still a pretty stellar viewing location. If you can manage to work your way through the crowds, you'll likely find a relatively small area of low crowds about half way down Main Street perpendicular to East Center Street and the Crystal Arts Shop. I have no idea why the area tends to be less popular but from my experience, it's not out of the ordinary to find a fair amount of space available even up to 15-25 minutes before show time. Obviously, the availability will vary widely with daily crowd levels, but it's well worth looking into if you're looking for a slightly less crowded area or a last minute viewing location. Once again, I'm going to contradict tip number one on this list, but if you're working on a last minute basis or simply want to explore an entirely new and unique viewing location, consider areas behind the castle. You will miss the projections, but at the same time it's a shockingly different view of the show as it unfolds. In the Fantasyland area, and in particular the space in front of of the Seven Dwarfs Mine Train and Be Our Guest, you end up surrounding yourself with fireworks. Due to the two different launch sites (near the castle and behind the park) you literally end up viewing fireworks over Beast's castle on the hill while having the opportunity to feel and hear the burst on each side of the castle a short distance away. The sound and the encompassing nature of this spot is hard to put into words, but once you witness it in person, it becomes one of those shockingly unique areas that you remember and hope to return to time and time again. In the big picture of all of these rather simple tips lies one vast commonality, an experience. In the end, that's what each viewing location is all about. It's not about what you'll be missing or what you'll have to pay, or how long you'll have to stake out your location, but rather the experience you're looking to get out of your fireworks viewing. It's not a recommendation or choice that I can make for you because we're all different and we all want something different out of our time in the parks. You may not have an interest in fireworks and that's completely okay (even though I have no idea why you would have clicked on this article...)! Either way, a trip to Disney isn't about finding that "perfect spot," but rather creating memories with friends and family that you'll never forget. That's what Disney does better than anyone else. You never know when a simple moment could change your life or create a memory that you'll share with your family for years on end. A new tradition may unfold, a moment in time may be shared, and a change of pace may become your next favorite aspect of the parks. Enjoy the parks and do what works for YOU and you may be surprised at how much you enjoy the experience. That is what it's all about!